Losing weight is never easy, choosing weight loss plans that are ineffective is very frustrating and can take you out of the weight loss game for a while. Take a look at the top 10 common mistakes to avoid with weight loss plans. 1. Going on a diet based on daily calorie restriction is perhaps the biggest mistake to avoid virtually for all weight loss plans. Diets that limit your calories while leaving you feeling hungry and unsatisfied are always doomed to be ineffective and even make you gain even more weight when you go off this diet. This is due to our body’s natural reaction to retain more fat under calorie restriction. All effective weight loss plans should include changing a person’s attitude towards food and increasing daily physical activities gradually. 2. Focusing mainly on cardio exercises like running, elliptical machines, or fitness classes might not be enough. Sure, this will help you initially lose weight, however if you are in your 40s or 50s doing just cardio will not bring you desirable results in the long run. Resistance training is what most people ignore by thinking that you need to start running if you want to lose a lot of weight fast. By increasing your lean muscle you will significantly improve your body’s fat burning potential. Most weight loss plans should include strength training and muscle building exercises to improve your stamina. 3. Ignoring anaerobic exercises is not going to do you any favors. Anaerobic exercises affect our bodies’ fat burning mechanisms differently compared to aerobic ones. Anaerobic exercises are achieved by short burst of intense activities like sprint running or doing high intensity activities for short intervals. Interval training when you combine aerobic and anaerobic exercises is perhaps the best component of all effective weight loss plans. 4. Not changing your personal mindset about the food is another very big mistake to avoid. If you are severely overweight, getting to the bottom of your psychological problems might considerably help your weight loss plans. A qualified dietician or a physiologist will suggest what you can do to tame your obsession towards food and how to avoid binge eating triggers. Taking on an exciting new hobby like biking, kayaking, canoeing or roller skating will help redirect attention from food in your new healthier lifestyle. Starting a new weight loss group will bring new people into your life who are also determined to lose weight. 5. Relying heavily on fat burning foods alone will not bring positive results if you don’t get involved in a regular exercise regimen. However, if you combine some of the fat burning foods like cinnamon, apples, almonds and eggs as part of a weight management plan accompanied by at least an hour of daily fitness exercises, these are proven to considerably speed up your metabolism and help you along on your road to banish fat. 6. Thinking that all weight loss plans involve being hungry is a major mistake to avoid. In fact, if you are on a diet that makes you hungry, it’s time to find a better one. The right nutrition plan will make you feel full, satisfied and content. Eating at least 4 small meals per day and 2-3 healthy snacks will keep your blood sugar stable and prevent overeating. Eating well rounded, nutritious and visually appealing meals will provide all the necessary essential vitamins and minerals for a happier you. 7. 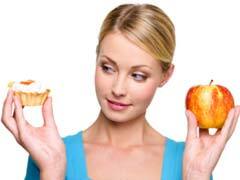 Thinking that fruit could be consumed limitlessly is a very big mistake to avoid with all weight loss plans. Fruit contains ample amounts of natural fructose that will raise your blood sugar levels similarly to sugar laden foods. Consuming a lot of fruit might undermine virtually any diet or weight loss plans. In case you are trying to lose a lot of weight, it’s better to keep consumption of grapes, figs, apricots and mango to a minimum due to their high fructose content. Berries, on the other hand, could be enjoyed more liberally because their fructose content is much lower. 8. Diet and exercise alone might not help if you do not address major stress in your life. Stress is notorious for making us pack lots of extra pounds. Stress makes us eat mindlessly and drown our sadness in calorie-packed junk foods and sedentary activities. It’s important to find healthy outlets for stress like meditation, journal writing, volunteering, gardening or crafts. These activities will help us relax in a natural way and positively contribute to weight loss plans. 9. If you think that eliminating fats will make you skinny, you might be making a very common weight loss plans mistake. Focusing strictly on your fat consumption while ignoring your carbohydrate intake might be making you fatter in the long run. Our bodies need fat for a lot of vital functions like hormone synthesis and cell regeneration. According to many recent studies, low carb diet has been proven to be much more effective in helping us lose weight compared to low fat ones. 10. Not getting support is another important weight loss plans mistake to avoid. Your family and friends can become your biggest allies on your road to losing weight. Announcing that you are determined to lose weight will make them more careful with menu planning when expecting you over. Some might even join you and become your exercise partners which might even add some fun to losing weight.